Amazon seems to be partnering with everyone for redemptions on products. 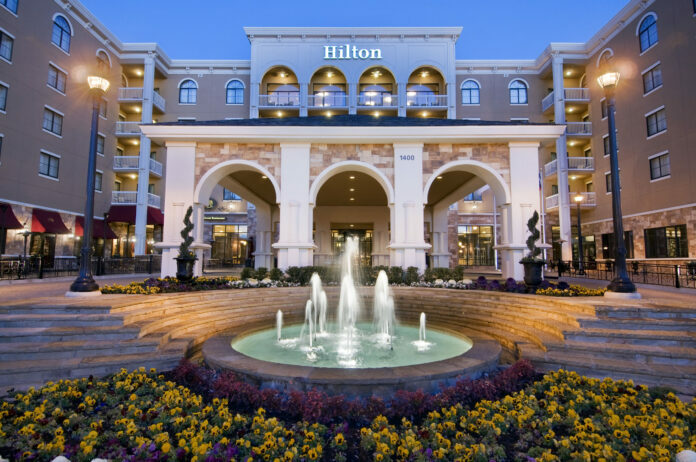 In the latest move Hilton has announce you can start to use your HHonors points for redemptions on Amazon. The partnership today adds a bit more value to your HHonors points if you’re not interested in redeeming them for hotel stays. There is a current promotion from American Express to get 100,000 points from their branded credit card that can give you a boost. The current redemption rate is 500 points to one dollar, meaning that if you really didn’t want to use those points for hotel redemptions it’s worth a whole $200 on Amazon. What can I buy with Points? With your Hilton Honors Points, you can buy millions of products at Amazon.com. At this time you cannot use points for certain purchases at Amazon.com including Amazon Kindle downloads, digital music, Amazon video titles, Amazon Appstore apps, AmazonFresh items, Subscribe and Save items, Prime memberships (with the exception of Prime Gift memberships), Pre-order items, Textbook rentals, Amazon Allowance or to Reload your balance (Gift Cards). Please note that currently you may not be able to use a one-click option to purchase products using your points. What is the conversion rate of using my Hilton Honors Points at Amazon.com? 500 Hilton Honors Points equal one dollar on Amazon.com. I don’t have enough rewards points for my order. How can I pay for the rest of my order? You may use any other Credit Card or use Amazon.com gift cards or Amazon Payments Stored Value to pay for the rest of your order. May I apply promotional coupons to orders in which I use Shop with Points to pay? Yes, you may apply any eligible promotional coupons to orders paid using rewards points. Can I use points toward my Amazon.com purchase over the phone? No. You can only use points towards purchases online at Amazon.com. Can I combine points from multiple reward programs for my order? Rewards from multiple reward programs cannot currently be aggregated for a single order. You may register multiple rewards programs on Amazon; however, rewards purchases will be paired with the Card associated with the rewards program. Rewards may also be combined with an Amazon.com gift cards. I have a gift card or stored value available in my Amazon account. How will this be applied with rewards points? Amazon applies the rewards points that you requested to use and that your rewards provider approved for use, then the gift card or stored value amount, and then any remaining balance to the Credit or Charge Card linked to your registered rewards account. At the current redemption rate this is a bad deal. Most other point redemption programs value 1 point at 1-cent on Amazon, which would be a much better but still bad redemption. It’s hard to recommend that you use HHonors points for Amazon redemptions. Amazon likes to make partnerships with anyone and everyone that will make them more money, thus for them this is a great partnership but for your personal value this doesn’t work out well. Only if you’re in the most ultimate of a bind would we recommend that you use your HHonors points for this.